Discover various programs making exercise through bike riding accessible for primary school children. It’s no secret that bike riding is good for kids. It’s a physical activity that is fun, easy and proven to play a positive role in children’s mental and social development. Recent studies have found that children who regularly ride bikes are happier, more socially connected and have improved spatial awareness. With benefits like these, it’s not surprising to see more Australian schools encouraging kids to get on their bikes. Ride2School is just one of the programs that is making bike riding more accessible to primary school children across Australia. The program provides support and resources to schools, parents and communities, helping them to get their kids riding more often. The program’s HandsUp tool, which counts and rewards regular bike riders, has encouraged students from over 220 primary schools to make bike riding part of their daily routine. 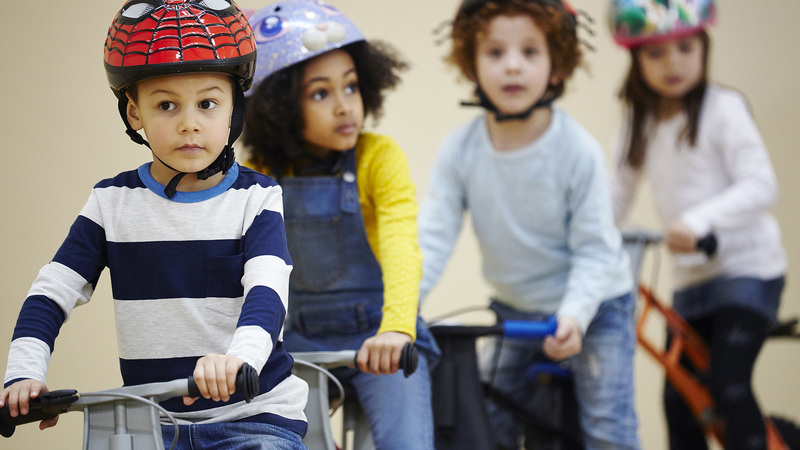 Schools involved in the Ride2School program have reported a definite increase in students’ physical activity levels, with one in two students now regularly riding to school. It’s not just primary schools that are getting behind bike riding. Now, many daycares are providing balance bikes for their young children to learn and play on. This is a move that cycling legend and Medibank ambassador Cadel Evans supports. Letitia McDonald of Nido Early Schools also believes in the value of getting little ones on two wheels. Here, she shares her reasons why balance bikes are a welcome addition to her centre. Why did you decide to provide bikes at your early learning centre? Kids love bikes. Not only are they a lot of fun to play with, they’re a great way to encourage kids to be active. Even more importantly, the balance bikes help children to develop their core balance skills. By providing bikes at our centre, we’re giving kids an enjoyable way to improve their physical coordination. How do you encourage the kids to get riding? We have a range of bikes for the kids to choose from.We have scooters, trikes and a number of balance bikes for them to ride. Outside we have a supervised playground area with several paths that are designed for the kids to ride along. We even have a small ramp that they can safely ride their bikes over. What’s the benefit of having bikes available for kids in daycare? Our centre is located in an inner city area. Providing balance bikes and the space to ride them gives children who live in apartments or homes without a backyard an opportunity to ride a bike and develop those core balance and coordination skills in a safe environment. So what do the kids think of bike riding? With our 2-to-5-year-olds, the first thing they ask every day is, “Can we use the bikes?” I think that says it all!